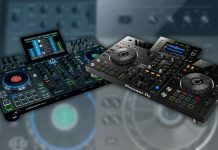 After looking at the best entry level 4 channel DJ club mixers, we look in this feature at professional 4 channel DJ club mixers. 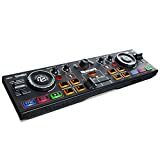 4 channel mixers are the most popular for club use, and chances are that if you are club DJ you will run into different types & models during your DJ career. Of course, chances are you are going to see a lot of Pioneer DJ DJM models, but, Allen & Heath and Denon DJ are also out there as well as many others. You will notice the absence of Rane, but fear not Rane fans, I will update this article soon with a selection of Rane mixers. If you are a professional DJ, investing in a professional grade mixer for your home setup is always a good move. 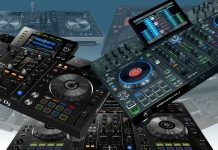 These will not only give you a similar experience as the one you have in clubs, professional grade DJ mixers have the sound quality, build quality and connectivity options to serve as a central hub in your DJ setup. Bottomline: Expensive, but fully featured professional DJ mixer. Excellent sound quality and build. 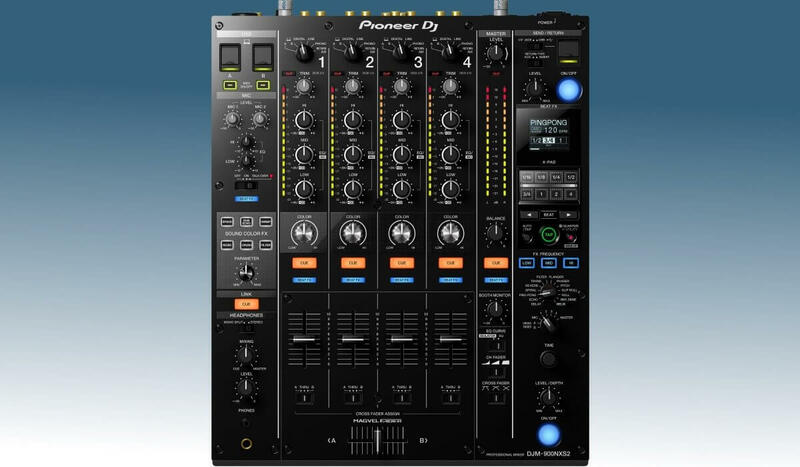 The Pioneer DJM-900NXS2 is the top mixer in the Pioneer DJM range and the de facto “industry standard”. Most big club DJ booths have them (or the predecessor DJM-900 Nexus) and it’s what top DJ’s play on at festivals. But is it any good? It definitely is, and Pioneer DJ has made sure that they improved significantly over the previous model. The sound and build quality are excellent, and it’s full of little things that make the life of a DJ easier. For example, the “clip display” is designed to be idiot proof: it will flash a red light when you drive the channel volume way to hard up, so no more excuse to go in the red. Each channel also has a beat FX led indicator, so you can instantly see on which channel the beat fx is active. Finally, the beat fx can be set to impact high, medium or low frequencies separately. There are much more things that justify the USD 2.200 price tag, such as the 2 USB sound cards with individual USB ports, the sound color FX, the FX send & return module. 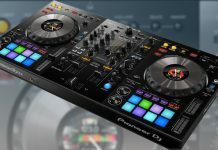 Ultimately, this is the best that Pioneer DJ has to offer mixer wise, and it shows. Bottomline: Fantastic sound and endless possibilities with the FX and filter modules. I have a full and detailed review coming up of the Xone:PX5. For now, I can say that this mixer truly delivers and it’s a really good blend of analog and digital. The sound is fantastic, the filter, even though it’s just one, sound warm is can be customized in pretty much any way you want and the EQ section is top of its class. The digital effects are well chosen and all fit the spirit of the mixer: subtle but precise modulation and manipulation of sounds. The FX send & return allows expanding on the onboard effects for even more flexibility. Finally, the PX5 is Traktor Scratch certified so will work as a digital audio interface for DVS purposes. Bottomline: Exceptional analogue sound quality and build quality, a true reference. There are more modern and “all round” alternatives for the price, but if you buy this for the right reasons, you don’t care. The Xone:92 is a reference, simply put. 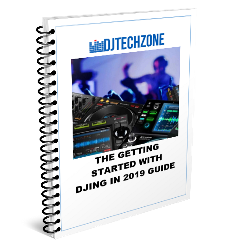 With its 6 channel design, 2 VCF filter system, 4 band EQ on each channel, MIDI capabilities, FX send & return and so much more other things it’s a beloved solution for complex DJ setups, that demand extensive connectivity. 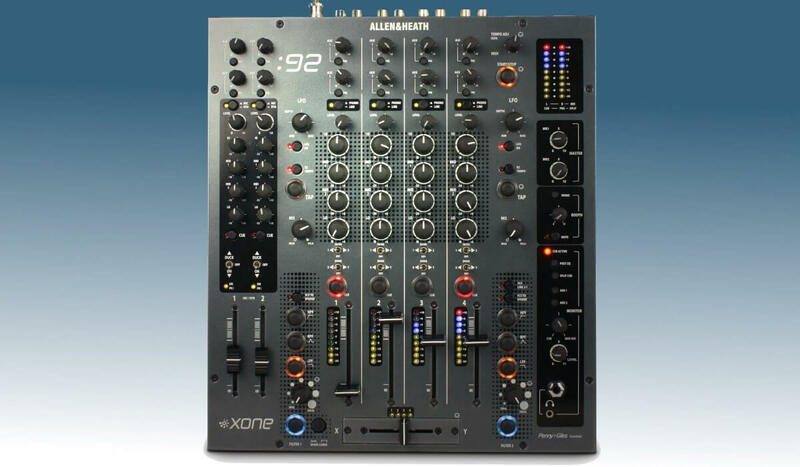 The key selling points, and ultimately what made the Xone:92 so beloved, is the quality of the EQ section and the double VCF filter. The VCF filters each be activated independently on each channel, allowing for complex manipulation of sounds. This is a fully analog mixer, so don’t expect an FX section on it, you will need an external FX box for effects. Bottomline: High-end professional mixer and the perfect partner for the Denon DJ SC5000 media player. 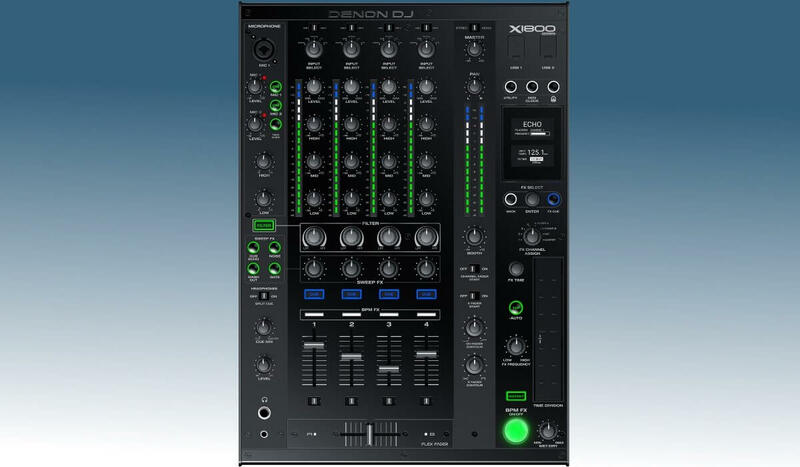 The Denon DJ X1800 is designed from the ground up to complement the revolutionary SC5000 media player. It’s fully featured 4 channel mixer with sweep FX (similar to Pioneer DJ’s color effects) with a dedicated knob per channel. The filter knob is, unlike on Pioneer DJ mixers, separated so you can actually combine filter and sweep fx together or use them independently. 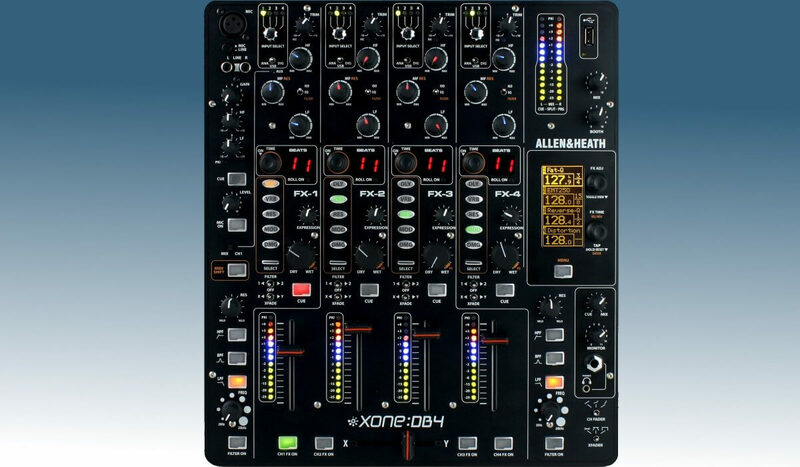 This mixer also has bpm FX section with a touch strip for instant touch & release effect manipulation. On the back, you will find all the usual inputs & outputs but also a dedicated 4 port LAN hub. This allows linking up to 4 SC5000’s to the mixer. 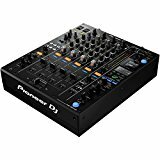 Price wise this mixer is expensive at approximately USD 2000, but it’s still is cheaper than a very comparable Pioneer DJ DJM-900NX2. Bottomline: Highly configurable and flexible professional DJ mixer for creative minded DJ’s. Extreme configuration & customization possibilities for filters & FX. 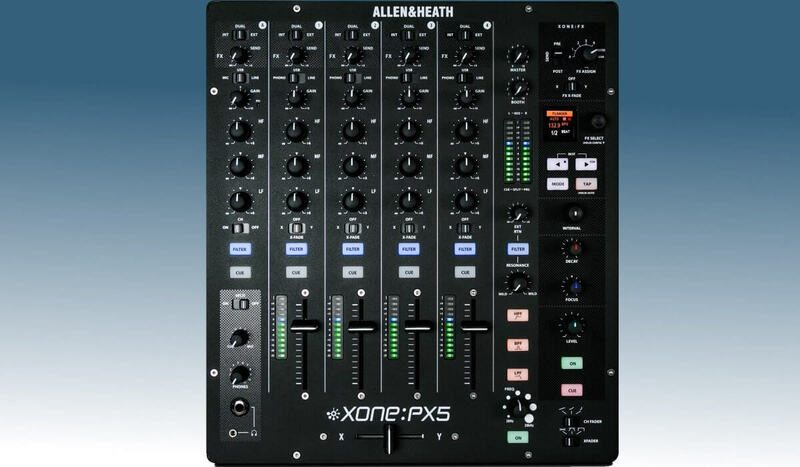 The Allen & Heath Xone:DB4 is another brilliant piece of kit and not for everyone. The DB4 is extremely configurable and customizable to your own taste, with unique features such as a per channel input matrix, meaning you can set any channel to any available input port, and a per channel loop encoder, allowing to catch loops on the fly. The FX and Filter engines are out of this world and again, have an infinite amount of possible combinations to make it sound exactly like you want. Overall, the Xone:DB4 is a mixer for the serious and creative artist, that want to create their own, multi-layered sound using, EQing, filters, and FX to tell a story. In that sense, the DB4 will please techno, minimal house, tech house DJs and producers that want to play & re-arrange their music live. With extensive MIDI capabilities and a Serato certified soundcard, the DB4 is designed to sit at the center of a system that connects & syncs through MIDI. At USD 2.000, the Xone:DB4 isn’t cheap, but you do get a top-notch piece of equipment in exchange.